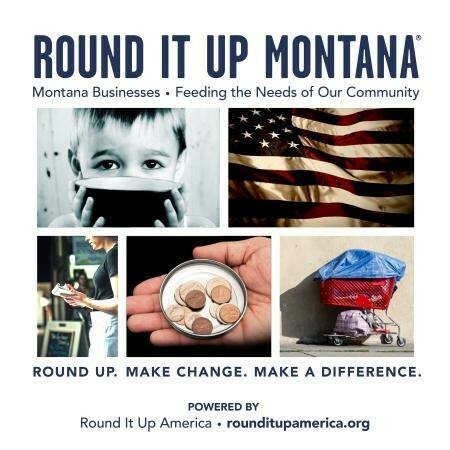 Round It Up Montana (RIUM) is powered by Round It Up America: the simple answer to corporate social responsibility. When they use their credit card to pay, your customers have the opportunity to round up their check total. They can round up by a lot or a little. The amount is up to them. The funds generated go to charities selected by the Partner. Montana Partners are able to direct 71% of funds raised to charities of their choice. 20% is earmarked for No Kid Hungry and the Montana ProStart Program, two important charities that focus on meals for hungry children and educating Montana teens. Each of these organizations receives 10% of funds raised by RIUM. The remaining 9% supports the efforts of Round It Up America: 2% for Interchange fees and 7% for administrative fees and fund management. Montana Partners may select three charities as their annual grant recipients, Quarterly distributions are made in the name of the Montana Partner. Multiple POS partners support RIUM and can help with integration. • 91% would change brands to one associated with a cause. • 75% would take a pay cut to work for a socially responsible company. • 83% would be more loyal to a company that helps them contribution to social and environmental issues.